It's easy to lose track of time when you're gambling. Never feel under pressure or under any time constraint to gamble or place bets. Make sure that you're control of what you're doing and if you feel that you need extra support, visit Be Gamble Aware HERE. 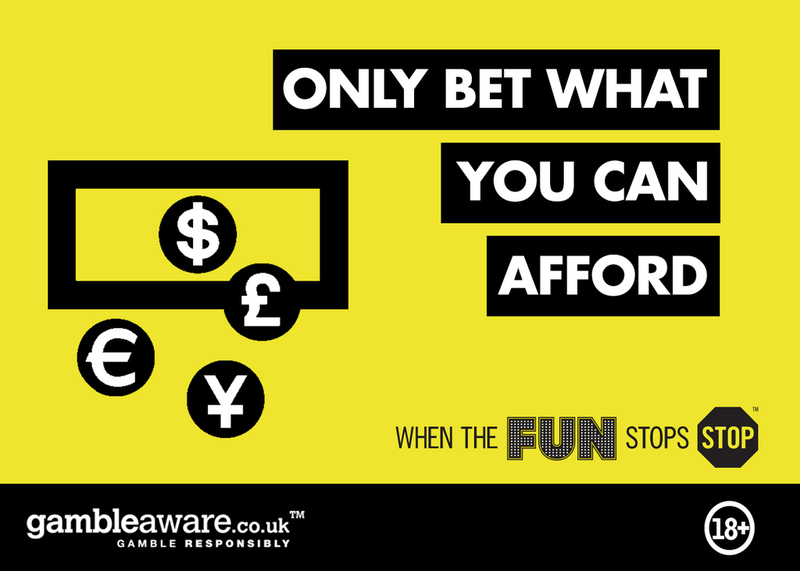 When placing your bets it can be wise to set money limits, ensuring that you stick to a certain amount. 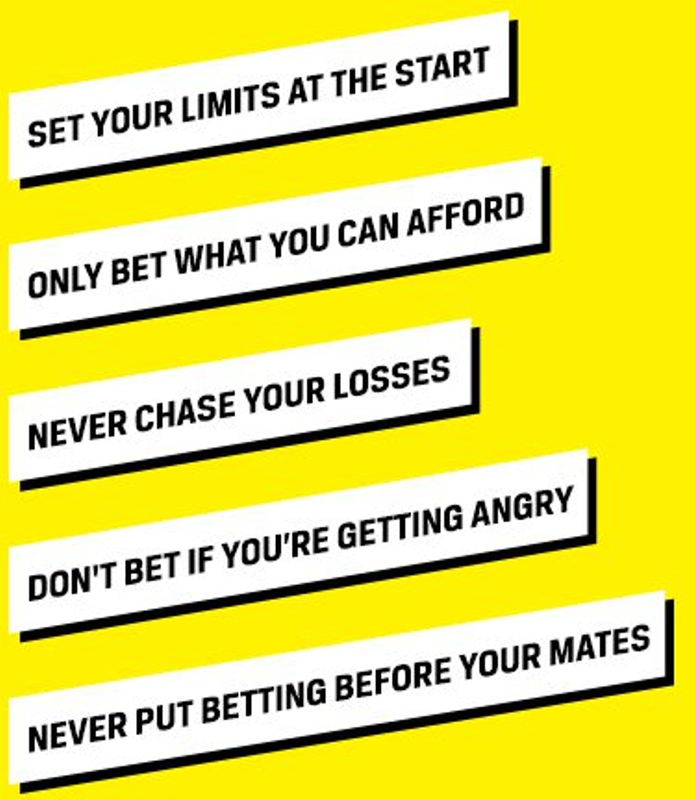 Should you choose not to do so you run the risk of losing excessive amounts of money and chasing your losses. 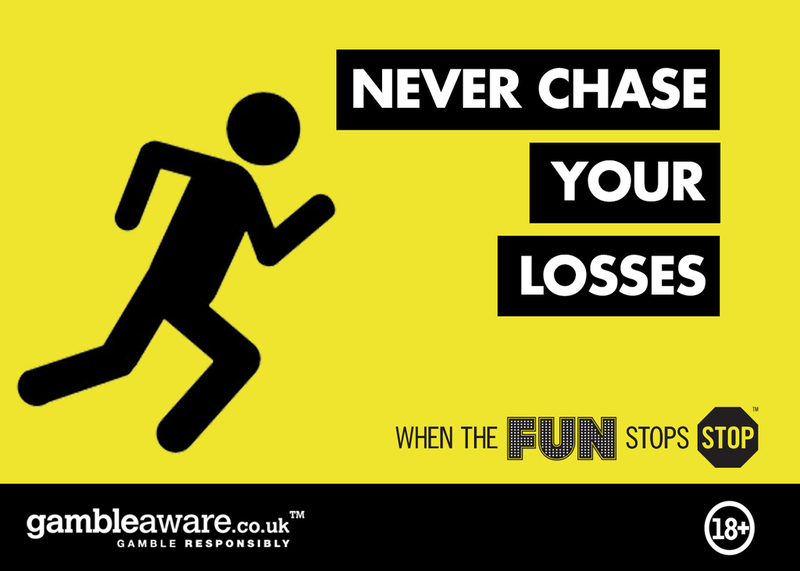 It can't be underestimated how important it is to avoid chasing your losses, always stick to your limits. Decision-making can be more difficult when you're stressed or emotionally upset. Make sure you only gamble when you're feeling happy and clear headed. When gambling becomes your only form of entertainment, it's unlikely that you're still just gambling for the fun of it, and your gambling may even be a problem. Make sure gambling isn't your only pastime. This is a good way to safeguard your money limit and not let being "in the moment" warp your judgment. Gambling continuously can cause you to lose track of time and perspective. Step out for some air, see some friends or grab a bite to eat at regular intervals. Drugs and alcohol cloud judgment, and good judgment stands as your main line of defence against letting gambling get out of control.Below are a list of reputable companies that can help with Gambling problems.